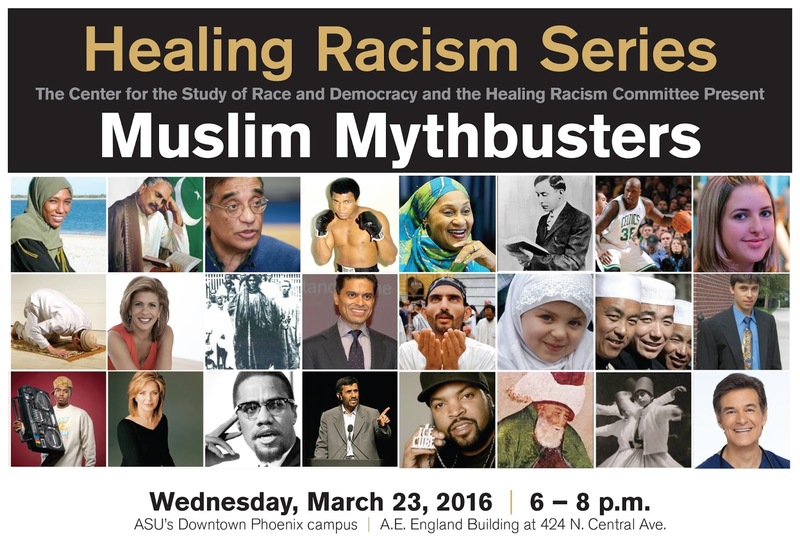 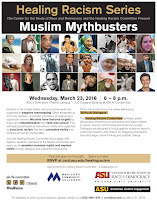 Join the ASU Center for the Study of Race and Democracy for the next Healing Racism Series discussion, Muslim Mythbusters-- March 23. 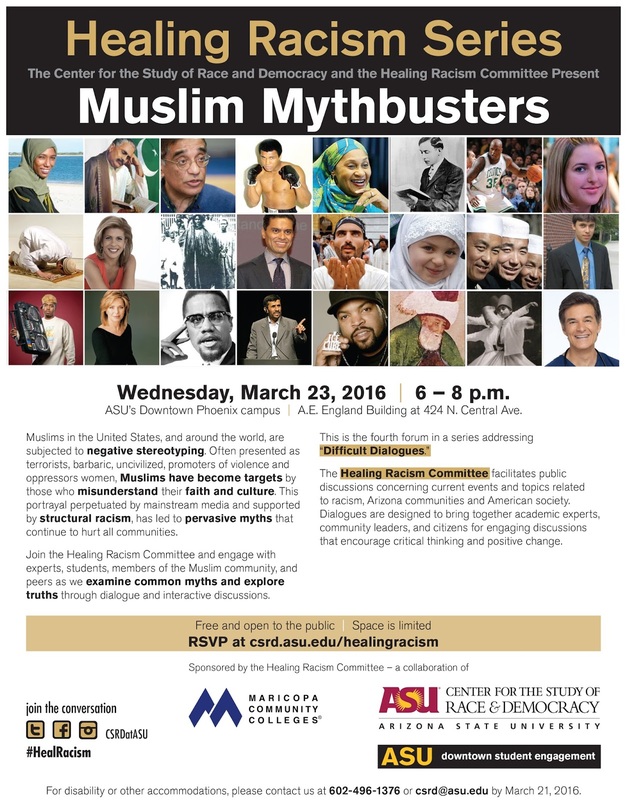 The conversation will include experts, students and members of the Muslim community who will examine common myths and truths about Muslim life. 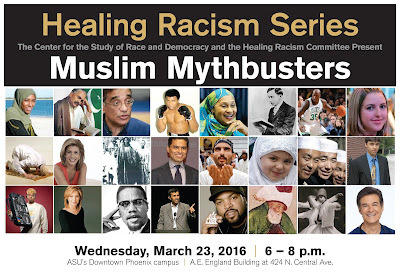 Wednesday, March 23, 2016 | 6 – 8 p.m.